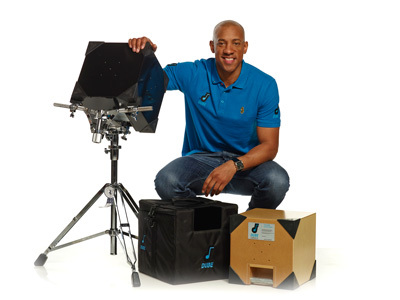 Website of Dion Dublin's percussion instrument The Dube – Dion Dublin has launched a percussion instrument called the DUBE, you can buy this instrument online, complete with bags and accessories. The DUBE is a unique percussion instrument, created by Dion Dublin. A stylish cube percussion instrument which comes in four sizes and can be totally customised in colour schemes and tones.It's ideal for musicians, in schools, even DJ sets, the list is endless. World renowned musicians and drummers including Courtney Pine & Thomas Lang to name but two have trialled and used the DUBE and recommended it. GET YOUR HANDS ON A DUBE! Hello and thanks for visiting my website and home of the Dube. HOW IS THE DUBE USED? The Dube has received a lot of attention from the media, from articles in magazine to video interviews. WHO IS ENDORSING THE DUBE? We are very proud to have so many high profile endorsees of the Dube. To help you understand a little more let me explain about the Dube and how it developed into what it is today. Whilst at Norwich in 2006 I had that ‘light bulb’ moment! My passion, after football, has always been music, in fact I often say it is something that had lay dormant in me for years. During the latter stages of my playing career I visited a hardware shop, bought some wood and nails, went home and put the 6 sides together – The Dube was born! Whilst in its infancy, I felt I had created something I wanted to perfect. After much deliberation, consultation and hard work, I now feel I have the almost perfect (because everything can always be improved) version of The Dube. A unique and versatile percussion drum, easily transportable, available in four sizes with four playable sides, all producing their own unique sound. With the availability of both Acoustic Dube, without a Mic, or Pro Dube, with it’s own integrated Mic, we provide a wider choice for the musician depending on their style of play and what they would use their Dube for. The Dube can be totally customised in colour schemes and designs or is available in three different colours. We have been lucky enough to have renowned musicians and drummers play, enjoy and enquire further about the Dube.